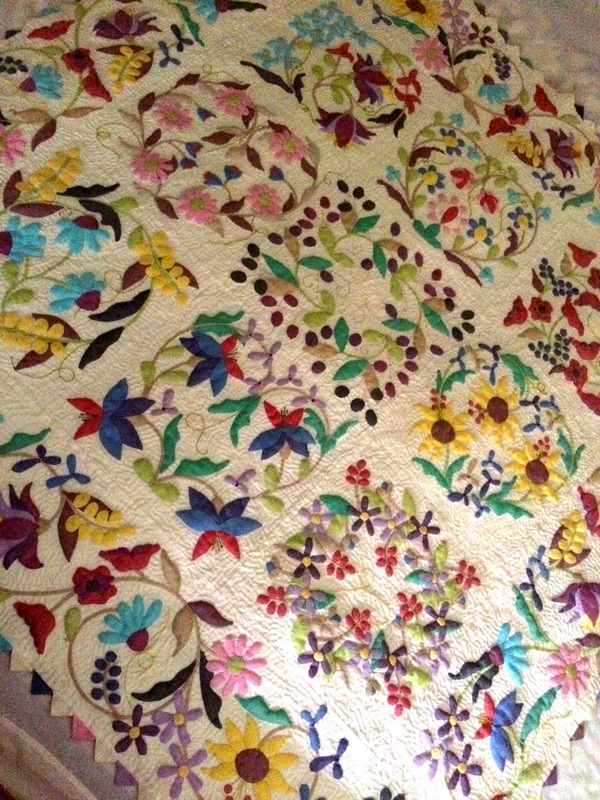 Alison was machine quilting her lovely quilt. It is a UFO, this will be her second finish for the year. 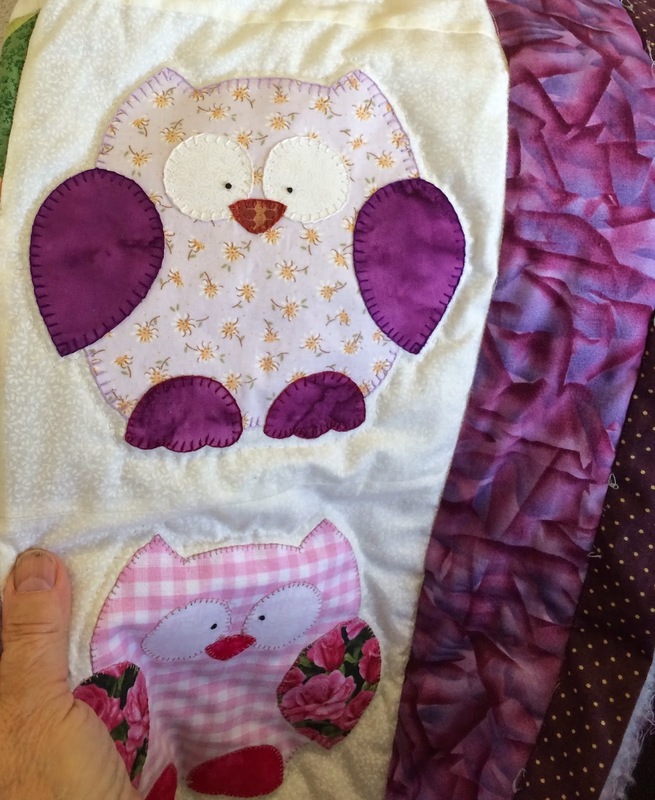 Maggie was also quilting around the Owls on this charity quilt though by hand, this one is going to a local Hospice. 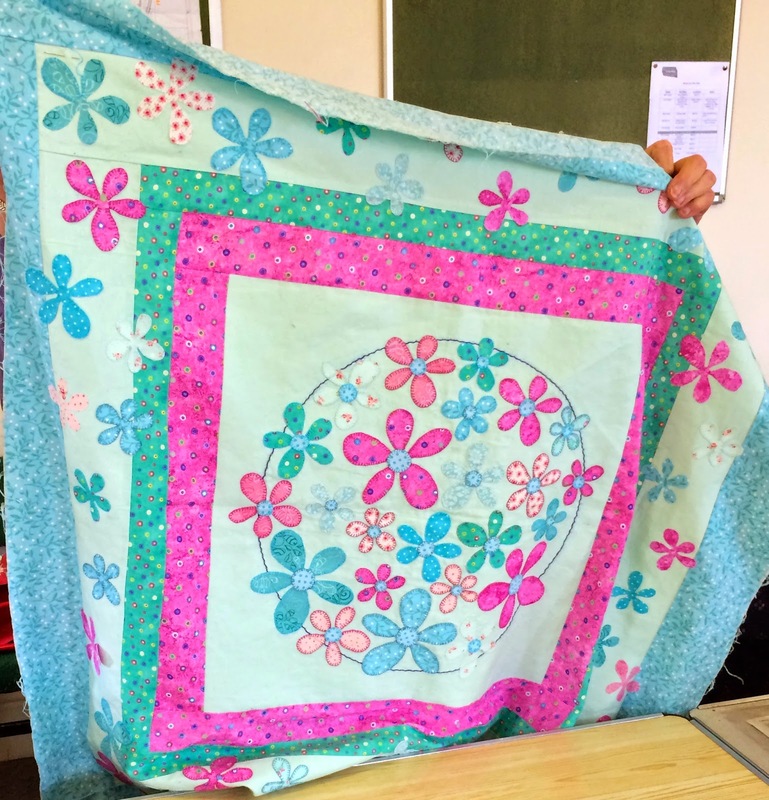 Ann was stitching another border on her lovely Baby Quilt. 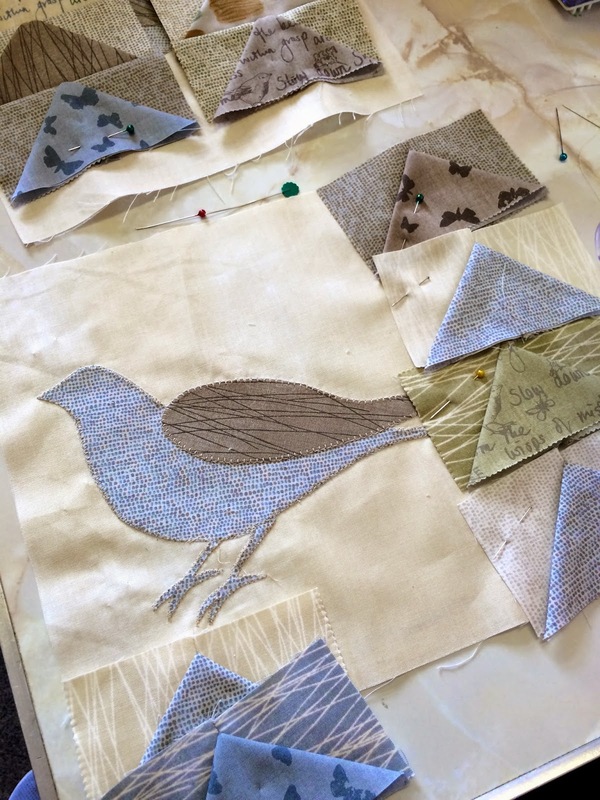 Jenny was making some lovely table place mats as a gift for a Birdie friend. I do love these fabrics. 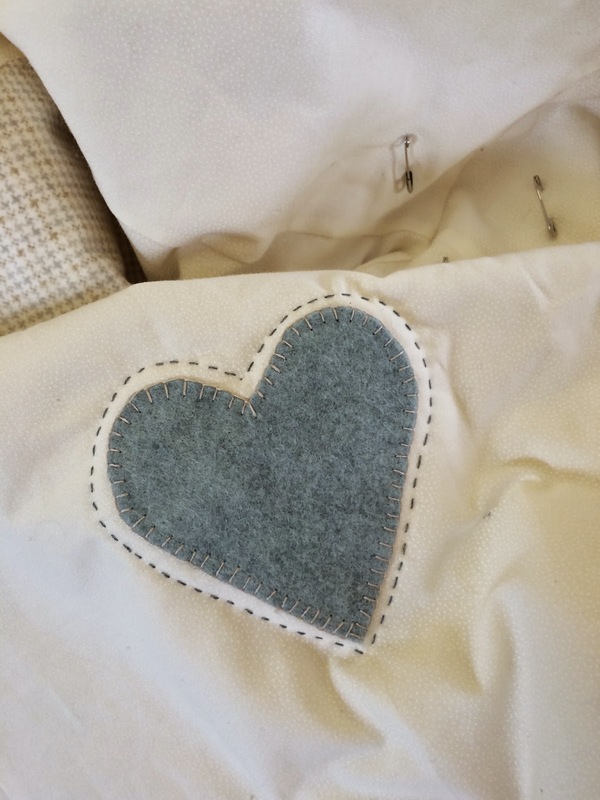 Annie was big stitch quilting around the hearts on the bed quilt for her daughter. Liz was knitting and helping Sue, who is learning to crochet. (sorry no pictures). 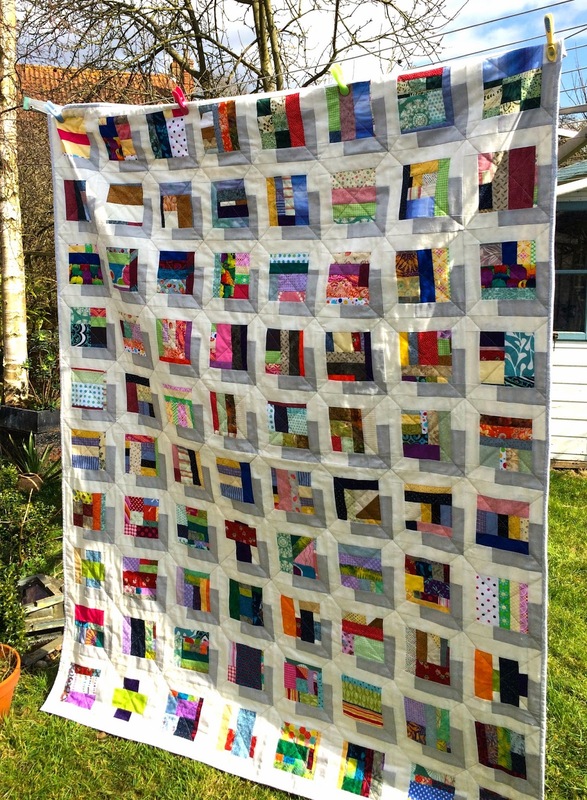 I was putting the border on another quilt that is for the Siblings Together Charity, This one is made from my scrap bins which never seem to go down. So that is the round up of what the "Queen Bees" were working on this week. They are a very productive lot.! Its another fine day today so I am off to the garden, my Tomato seedlings need repotting. I can't believe that after making 80 blocks from the scrap bin, the bin does not seem to have gone down very much at all. It is slightly less dense but still over flowing. 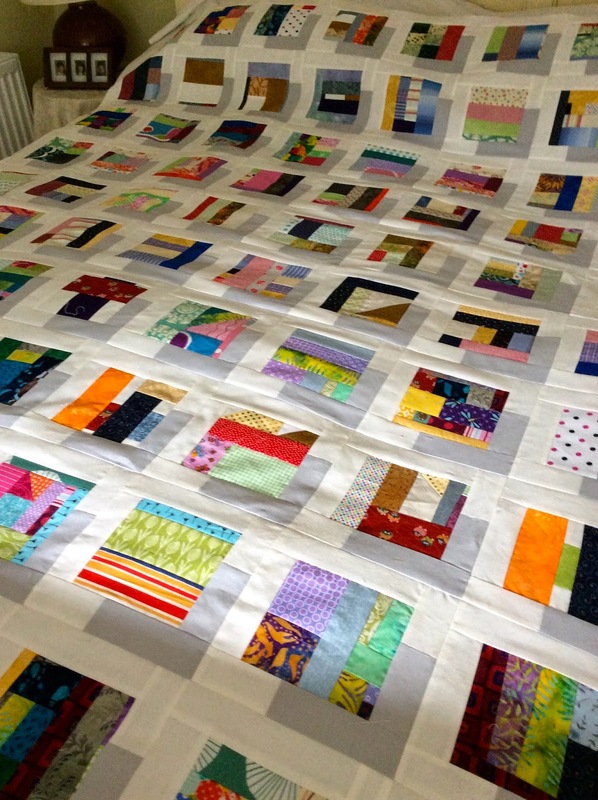 The blocks were seven and a half inches so have made up to a fair size quilt top. 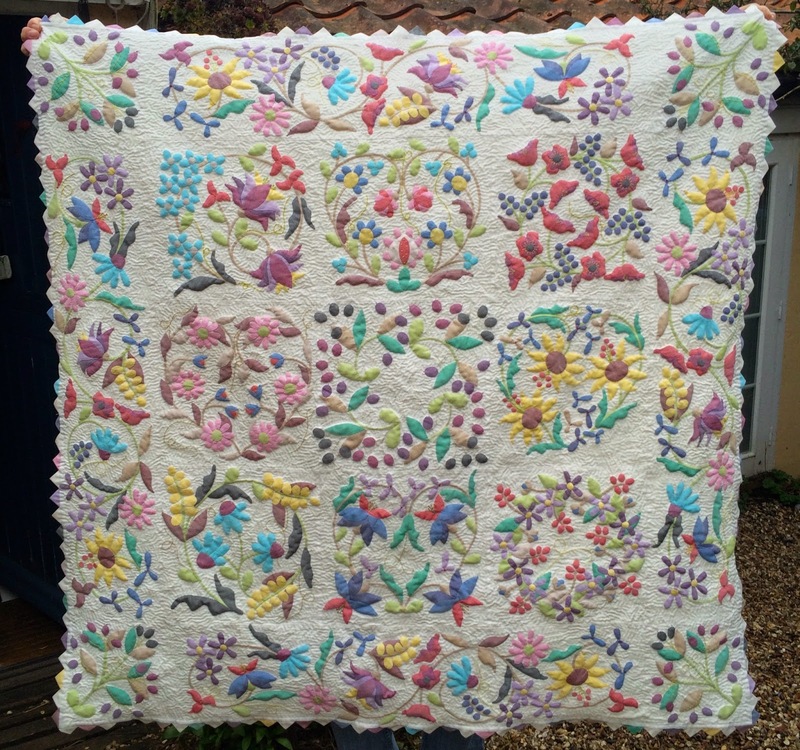 Just a little border all the way around and then to sandwich it with wadding/batting and backing and I might just have another quilt for my favourite charity Siblings Together. 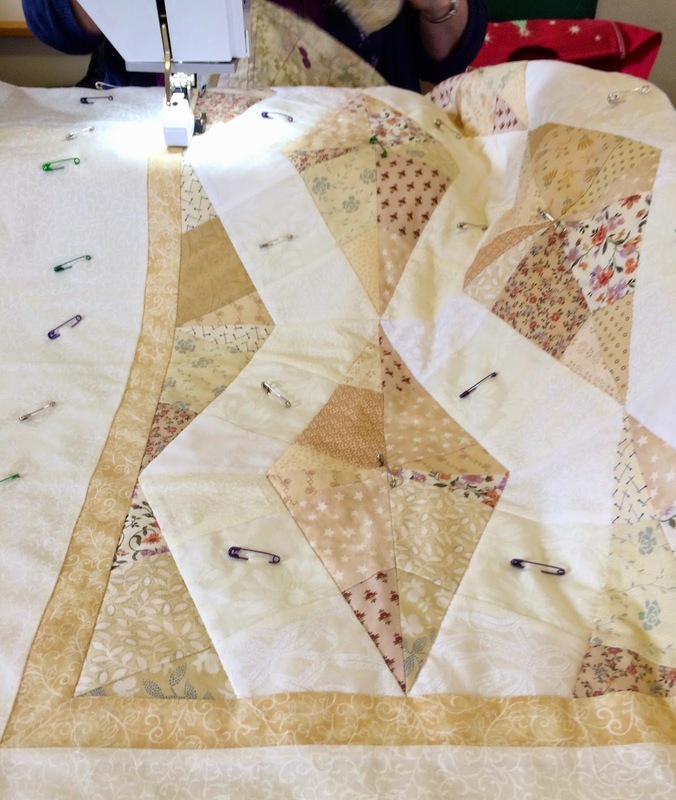 Probably just straight line quilting on my trusty sewing machine. I do so like this mini shadow block, and such fun to make. 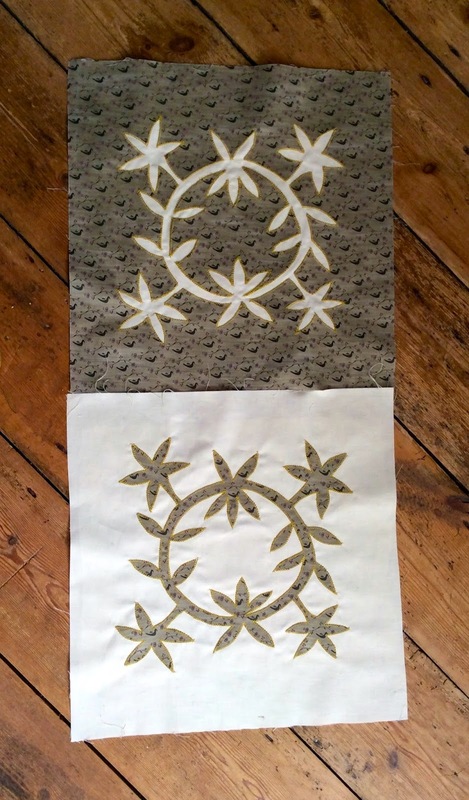 The centres are 5 inches and are surrounded by 2 inch strips of grey and white. to make them look like they are floating.The scrap bin must have gone down a bit even if it does not look like it. 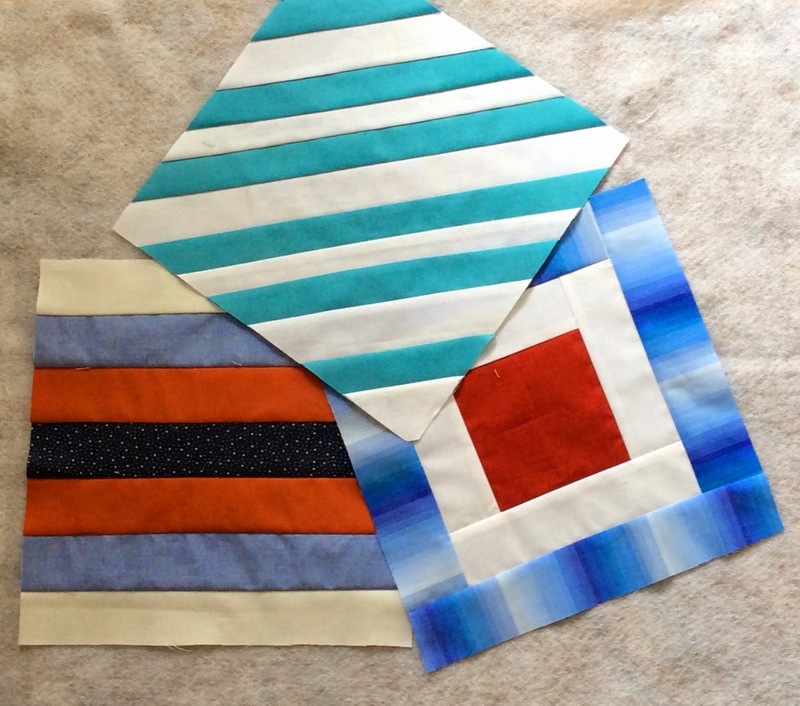 Susie is the mama of the month and has asked for 3 10 inch nautical blocks in these colours, so the next job is to get them in the post. 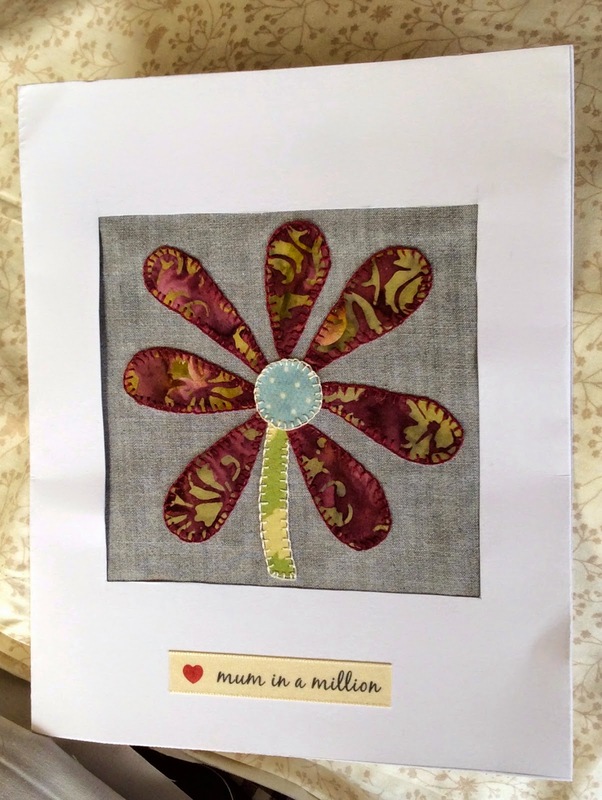 I am very late blogging this week as the weather has been so good that Mr M and I have been trying to sort out the garden a bit. We had a lot of work done on the cottage and sad to say workmen are no respecters of the garden, and how do you hide a huge oil tank.? On that note it's time I sorted out the backing for the new quilt.